Parents are the number one role models for kids. Whatever they see you doing, they will try and emulate – the good and the bad. You may not know it but when you’re arguing in front of your kids, they are taking note of everything. From the way you speak to each other, your mannerisms and to the way you solve conflicts, everything is being imprinted in their minds. 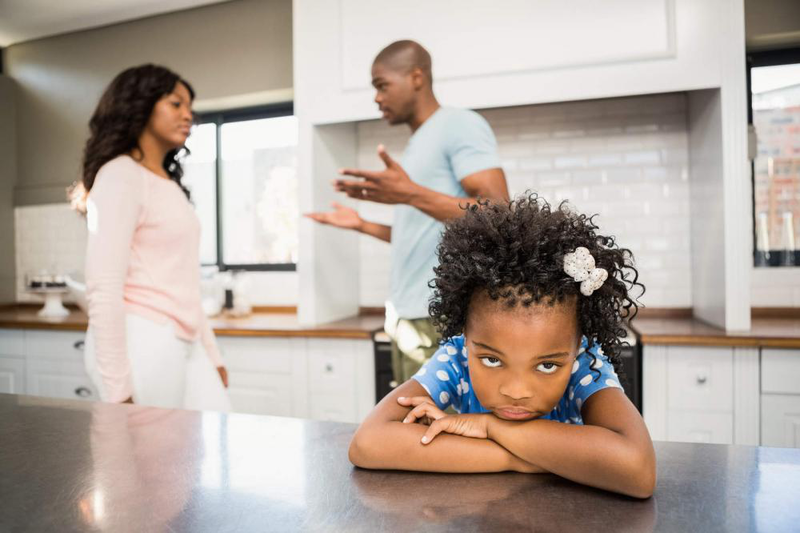 Parents should avoid having arguments in front of kids but that isn’t always possible. If you are going to argue in front of them, do it the right way. Teach them a thing or two about how to resolve conflicts and communicate without getting agitated and angry. According to David Myers “when your thoughts, beliefs, feelings and actions are aligned, you function at a higher level”. In order to resolve conflict you need to communicate openly. Being assertive involves clearly communicating what you think and feel. But communicating clearly doesn’t give you the green light to be hurtful. Your words need to come from a “centered” place to allow you to converse in a way that is constructive says Myers. This way, you’re ensuring there is no backlog of unresolved feelings. Your kids need to see you convey your feelings, thoughts and desires in an empathetic and respectful manner. Whatever you do, always remain in the realms of assertiveness – never be aggressive! We’re communicating even when we’re not speaking with our facial expressions and body language. Infants don’t understand language but they respond to facial cues. Whether it’s a smile, a frown or just the glare that parents give their children whenever they angry, all of it has an impact on them. When having an argument with your spouse be conscious of what your facial expressions may be communicating to your kids. Arguments don’t always go smoothly and oftentimes as the conversation gets heated, doubts do emerge. It’s perfectly natural for our anger to take control over us every now and then. When that happens we have a tendency to create our own reality. Instead of jumping to conclusions, clarify any doubts you may have that may be making the situation worse than it already is. When in an argument, adults are inclined to manipulate each other’s words and use it against the other individual. The more you speak, the more “ammo” you’re giving the other party. Kids are also great at using your own words against you. Instead of harping on, be clear and concise about what you want. Avoid letting your message be manipulated and prevent the argument from dragging on unnecessarily. For more insight on connected parenting and emotional intelligence, get a copy of David Myers’ book Heartful Parenting. Myers’ book is a comprehensive guide that compiles all the elements of connected parenting and emotional intelligence. David Myers is an experienced psychodynamic therapist in Birmingham, Alabama. His services include psychotherapy, psychodynamic therapy and relationship counselling. Call (205) 251-8808 to book an appointment with Myers.